As other countries Germany also has a national anthem, which is played on offical occasions. 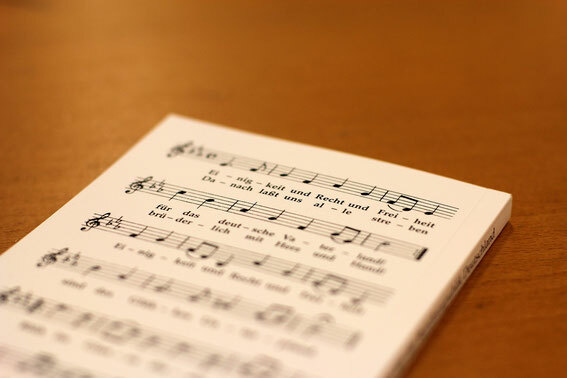 Below you can listen to it and find some information about the German "Nationalhymne". It is the "Song of the Germans". In German it's called "Das Lied der Deutschen". 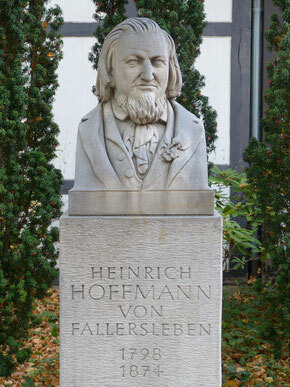 The gentleman on the foto is the lyricist of this song: Heinrich Hoffmann von Fallersleben (1798 - 1874). He wrote the lyrics in August 1841. The melody is based on a composition from Joseph Haydn (lived from 1732 - 1809) written in 1796. The first social democratic government introduced this song as the national anthem on 11 August 1922. Today Germans only sing the third verse at offical occasions.